Now for something completely different with this holiday blog instalment. 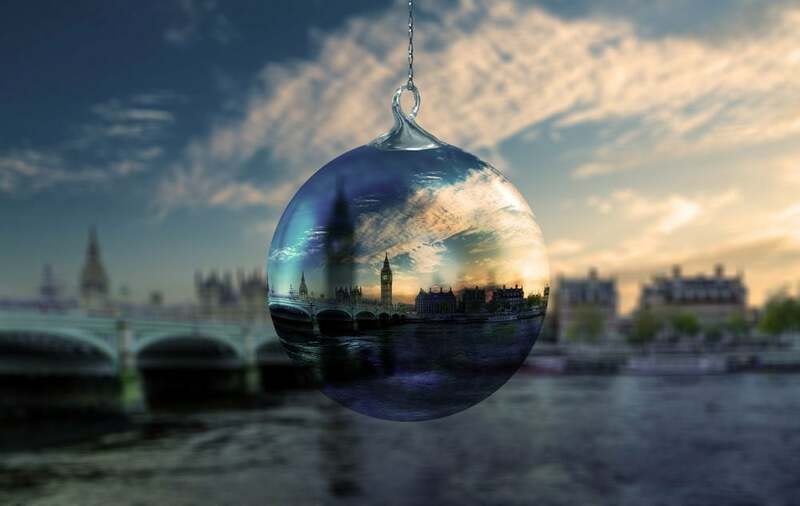 Brand friend and supporter, Londoner Alina Wallace, offers her take on the season to be jolly. Perhaps not as elegiac as Dylan Thomas’ reminiscences but a good read nevertheless to get you into the spirit of the season. There is always something magical about the arrival of Christmas, which happens upon us earlier and earlier each year. We have all year to plan for it (359 days to be precise from New Year’s Day) however, it still seems to spring out of nowhere, like an ethereal event that suddenly materialises and transforms life as we know it. But it’s a destination date, something we long for all year long and a positive amalgamation of friends, families, neighbours and communities. It’s that moment when the radio starts playing Mariah Carey (mid November this year) when we first start denying that it’s that time of year already?! This is followed by a fortnight of resistance (“it’s too soon for Christmas songs”… “I’m not singing along”…) through to the 1st December when we are swept away, joyfully and proudly belting out Fairytale of New York>, profanities and all, to anyone who will listen. It’s then, and only then, when we accept that Christmas has arrived. It’s official. It’s 1st December and we are ready for the endless list making and the onslaught of festivities. ‘Tis the season of pure excess and indulgence in every extreme – eating, drinking, socialising, parties and decorating. Literally everything sparkles in its full glory at Christmas time from the glitter (cue face, nail, dresses, shoes, jewellery, tree, house, city) to the champagne and lights. There is nothing more romantic about shop windows and village streets dressed for Christmas. Christmas is distinctively fragrant, a culmination of fresh pine, mulled wine, roasting chestnuts, tinsel, brandy and ginger; there is always so much ginger! 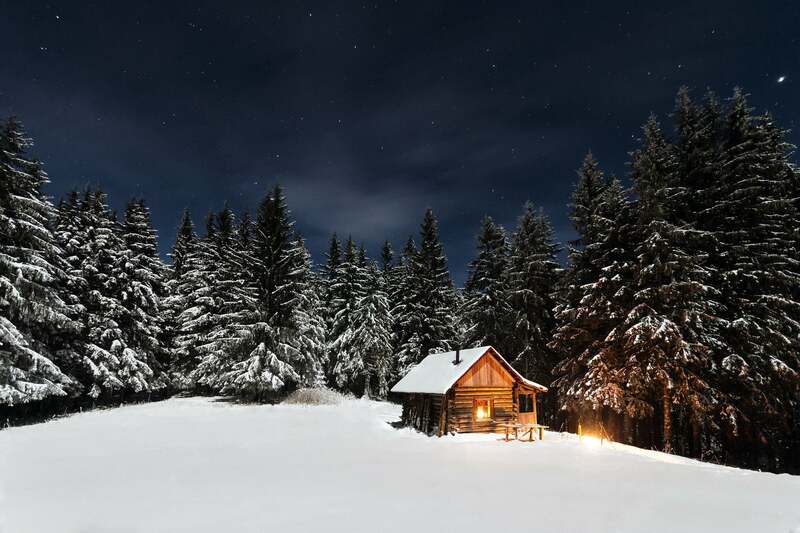 The smell of Christmas brings comfort and joy, just like the song. It’s reminiscent of childhood and evokes happiness that can’t be bottled. The fragrance of Christmas is only authentic when it’s fresh, and when it’s December! Finding the perfect Christmas tree to jolly up the living room is one of the season’s first big challenges. 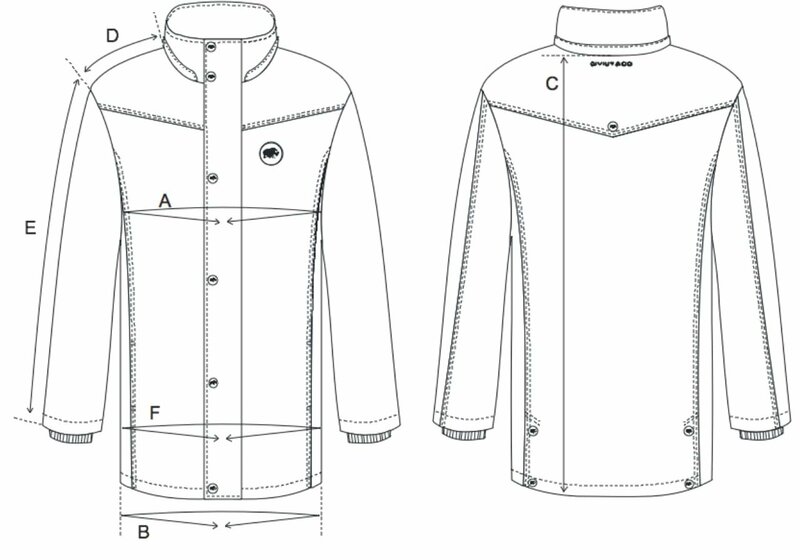 It must be perfect as it will be taking centre stage (and consuming a lot of space) for over a month – right height & thickness, fresh, non-drop, and so the list goes on. And then there is the tree decorating… Christmas is all about the children, however the uneven distribution of decorations, the over-enthusiasm for tinsel and the handling of breakable baubles makes for a big challenge and usually results in “project redecoration” after the children go to bed. There is such a ceremony of wrapping at Christmas time; not just wrapping oneself in layers of clothing to combat the cold as we tootle from party to party, but the endless present wrapping. Choosing the wrapping paper and ribbons is nearly as important as the actual present itself. Living by the mantra presentation is paramount is particularly important at Christmas, a beautifully wrapped gift not only looks good under the tree, but it also gives the sense of luxury and adds to the experience of receiving. Selecting the perfect present and the art of giving is one of the most special parts of Christmas. 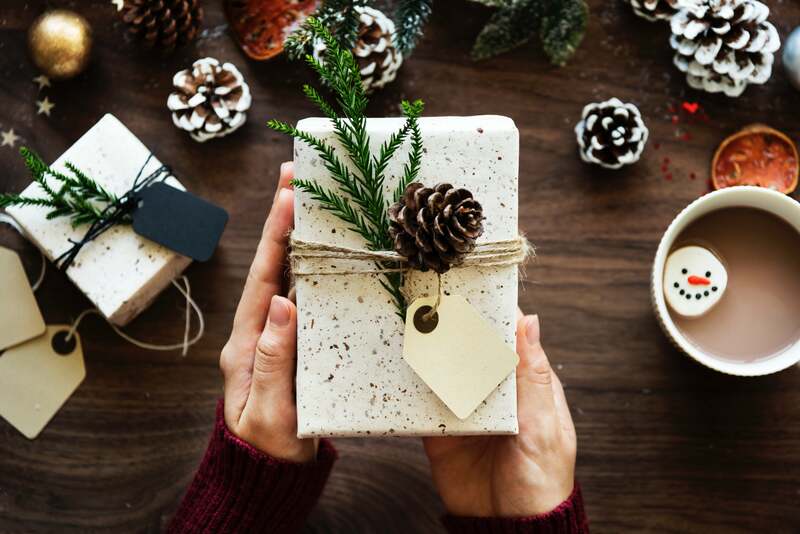 I invest a lot of time writing lists of present recipients and researching the most fitting gift for them; meaningful and useful is the resounding theme. This year there will be new bicycles and Legos for the children and luxurious qiviut neckwear and headwear for the best friend and brother. Practical, thoughtful and, in the case of qiviut, extremely exclusive, these presents will be appreciated and used repeatedly for years to come. However, there is always someone who who slips off the list. To counteract another embarrassing moment (yes, there have been a few), an emergency present is always added to the list, normally a box of posh cookies, which is beautifully wrapped and put under the tree, unlabelled in anticipation for that emergency. 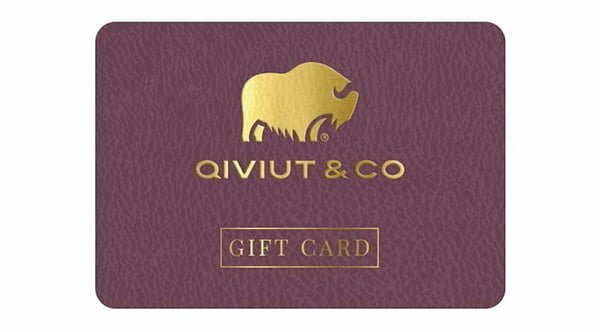 And this year, I have the option of the digital QIVIUT & CO Gift Card which really can be a totally unique present given at the very last minute. Christmas is steeped in traditions and shopping for the perfect presents is one of those. Do I break tradition and buy online or do I stick with tradition and go bricks and mortar? High street shopping is an experience and really does heighten the festive spirit but battling crowds in a time-poor society makes it slightly less appealing. This year it’s likely to be a 50/50 combination of online convenience with high street merriment for me. The last-minute Christmas dash will be done at the shops to avoid having to wait around for the delivery, but for larger purchases it will be the e-shops – I definitely won’t be carrying a bicycle around the high street! Christmas cards are another wonderful tradition that, unfortunately, are becoming a dying gesture. But not in my house. Sending Christmas cards through the post is a tradition I intend to keep. The selection or creation of just the right card for loved ones and friends is all part of the seasonal spirit in my mind. It shows thoughtfulness and is much more meaningful and personal than a group text message. The build up to Christmas is just as exciting as the day itself. The magic and excitement of the children on Christmas Eve is intoxicating; I remember my childhood in Australia and how special Christmas Eve was. Wrapping presents, hanging stockings, singing carols with the neighbours, preparing carrots and beer for Father Christmas and his reindeer (remember I said it was Australia) and then trying to stay awake to see them. It is pure joy watching my children going through the same emotions and experiences as I did, all of those years ago. Of course, Christmas is not all bells and glitter; there is a downside. There are pine needle prickles, misplaced mistletoe, expensive smashed baubles (thanks children), the aftermath of the champagne, the empty boxes of Quality Streets (will address that with New Year’s resolution), but mostly, the emptiness felt when the lights go off and the decorations come down. The feeling of betrayal as that beautiful tree that was so lovingly selected and decorated is now dumped unceremoniously outside the house. DeBeers notwithstanding, nothing lasts forever but some endings mark a new beginning. And so the countdown will once again commence, 359 days till Christmas 2018.